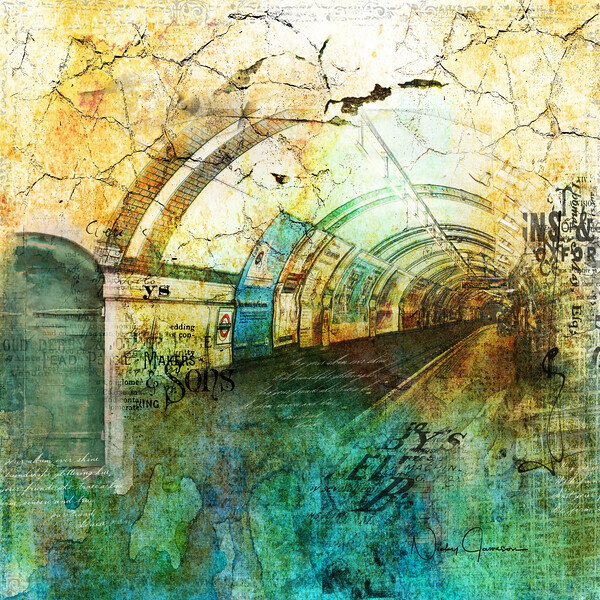 Collage Art grunge - Underground. I love taking photos in the Underground. It's such a challenge. If I decide I want minimal people in my composition I have to wait and bide my time - and not be in the way. The really fun part is turning the initial photo into artwork with textures, choosing the mood and the palette to covey the story, crackling with energy.